Projects page allows you to create and manage various documents needed for your project. 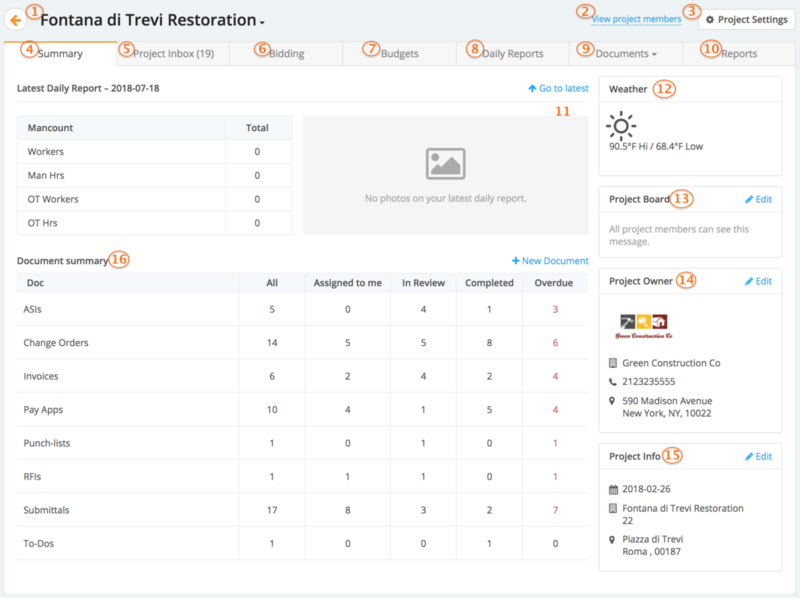 Once you log in, click on projects, select a desired project and start managing your documents. Document Summary: overview of items assigned to you, in review, completed, overdue or all. Overview: this page is visible when you first open a document. It shows document details and actions. Activity & Notes: this is a newsfeed of your document activities, any changes/notes/updates will be visible here. Attachments: any relevant files uploaded can be accessed through this tab. This is also linked to Files tool on the main Dashboard. Followers: see who has access to the document or add a follower. When you add a follower, that person will have access to the document but not the project. Approval Chain: view who has the privilege to approve the documents. This can be updated through the project settings. Please see the article for more details.